Because the weekend doesn’t have to end after Saturday night, join us for a Happy Hour Party at Pearl. Your ticket includes one drink of your choice and an assortment of shareable food items, including vegetarian options, from the Happy Hour menu. If you haven't been here before, you're in for a treat. 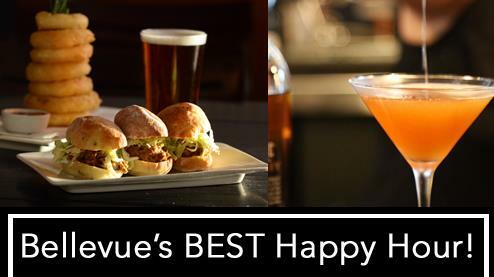 This is indeed the Best Happy Hour in Bellevue! See you there for great drinks, great food and GREAT company!